Good Taste. Some have it, others don't. Never fear, Jacob and Taylor are here to help you develop yours. On a biweekly basis they offer up cultural recommendations for music, books, movies, tv shows, apps, online essays, and more! Other discussions and hi-jinx may ensue. 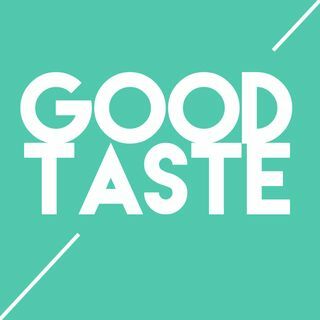 Get good taste now. Episode 33: Old Town Road, American Football, Fosse/Verdon, and more! Episode 31: The Other Two, Overcooked 2, Faces Places, and more! Episode 30: Solange, The Dropout, Noma Fermentation Lab, & more!! Episode 29: Pen15, Jeopardy All Star Games, Theon Cross, and more! Episode 28: The Oscars, Better Oblivion Community Center, 2018 London Recording of Company, and more!! Episode 27: Tidying Up, Animal Collective retrospective, the Instagram egg, and more! Episode 25: The 1975, The Final Table, Phoebe Bridgers, and more! Episode 24: Netflix Prestige Movies, Family Games, Sierra Nevada Resilience IPA, and more! Episode 23: Pete Davidson, Sufjan Stevens, The Beths, and more!